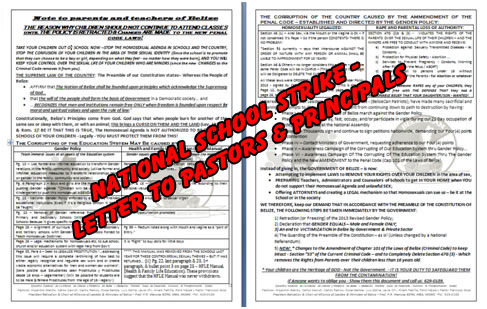 ACTION ALERT ALERT FROM THE NATIONAL ALLIANCE OF LEADERS AND MINISTERS: NATIONAL SCHOOL STRIKE HAS ENDED! We, the members of BelizeCan Patriots, aware of our ethnic, cultural and religious diversity and determined to contribute towards Proper Governance, Sovereignty, Independence, Territorial Integrity, and Social Justice in Belize and exercising our right to determine the form of Governance of our organization, have agreed to pass this document as the constitution of BelizeCan Patriots to govern its operations for the smooth running of the organization. BelizeCan is a Non-Partisan, non-governmental Organization established as a “Watchdog Group” to strengthen the Democratic principles and social justice in the Nation of Belize! As a non-profit organization, BelizeCan relies solely on gifts from philanthropists and individuals who love Democracy, the rule of law, and Social Justice. BelizeCan’s major focus is education; concentrating on ‘Educating the Masses’ on subjects vital to Democracy, Ethics, Transparency, Social Justice, Fundamental Rights and Freedoms, and the Dignity of the Human Person. BelizeCan Members believe in the Power of the People, and that at all times, the people should be heard, respected, and their rights upheld. In short – BelizeCan Members rely on the Constitution as the “Supreme Law of Belize” and any law which is inconsistent with it is therefore null and void! BelizeCan therefore empowers the Belizean people. The goal of BelizeCan-Patriots will be to promote strategies, create programs, collect proposals and recommendations from Local communities, its members, its organizations and advisory bodies that contribute to improving the living standards of the Belizean communities at home, and to implement the instructions issued by BelizeCan’s Executive Body. The BelizeCan-Patriots Committee will, while seeking the protection of the sovereignty of Belize and pressing for Good Governance through the EMPOWERMENT of the Citizenry, press the National Government for policies and actions in the best interest of its Belizean Brothers and Sisters abroad. 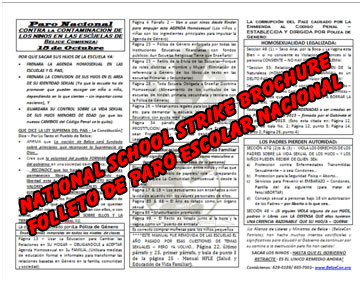 He has spoken and continues to speak on National issues that BelizeCan undertakes. BelizeCan members and staff, social partners and supporters are not revealed unless approved by them. Our core staff consists of Belizean born citizens as well as residents from different cultural backgrounds, young and old. Gender balance continues to be of importance to us, hence the reason why we strive to bring on as much women as we can. BelizeCan consists of a group of professionals with different areas of expertise, working with utmost dedication for Proper Governance, Sovereignty, Independence, Territorial Integrity, and Social Justice in Belize. Without a set work schedule, BelizeCan continues being a watchdog over our Nation, tackling any issue that the group deems vital and a threat to Democracy, working arduously at all hours of the day, and on any day of the week. Since BelizeCan has been established as a Watch Dog NGO, its Organizational Structure therefore has a separate Department for each Governmental Ministry in Belize. These Departments are headed by a Vice President as the Facilitator of a Technical team of Directors with knowledge of the Internal Operation of the Particular Ministry it monitors and professionals with the technical knowhow and/or training in that particular field. 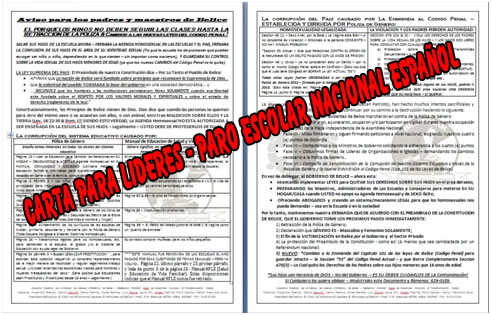 Directors include but are not limited to one representative from each District plus Belmopan. Directors’ names are seldom released seeing that some are active Public servants in the particular Ministry they represent. The National Alliance of Ministers and Leaders of Belize is a branch of BelizeCan, under the Department of Human Development and Social Reformation. The Alliance’s Executive Body at the National Level is comprised of the President and one Director from each District, plus Belmopan. The Chair of the Alliance is the President of BelizeCan, Prof. P.R. Menzies, who sits as a Facilitator while decisions are voted upon and approved by a simple majority of the Executives. The Alliance consists of Ministers and leaders from diverse denominations, cultures, social groups and NGO’s, committed to educating the Belizean Populace on matters pertaining to Human Development and Social Reformation in Belize. The Alliance believes in standing up for Social Justice and Proper Governance of our Nation Belize, in accordance with the Constitution. *Click on the fields below to check out the available downloads. To view more fields	click here. Pros & Cons from News and Gov't - Prev. Detn. The red and white color of the flag is derived from the Air Cavalry military flag: signifying blood over serenity. We prefer to die Defending our Nation’s Democracy, Sovereignty, Independence, Territorial Integrity, and Social Justice (Patriotism); before surrendering one speck of our Nation’s Territorial Integrity, Sovereignty, or its Principles. SERVE as a “Watchdog Group” to strengthen the Democratic principles and social justice in the Nation of Belize, relying on the Contitution as the Supreme Law of Belize.